Growing up, we all know the woes/joys of an untuned bike. Bar grips that twisted freely, rusted old chains slathered in black 3 &1 oil to hide the creaking, and the worn brake pads that squack and squeal at every stop… Ah, good times… Now balance that with you most well-tuned bike you’ve ever had. You, have had a well-tuned bike before, right? Well, if you haven’t, you haven’t lived. Riding and racing are two very different experiences. You ride for fun. If your shifting isn’t quite dialled in, or your tires aren’t pumped up to optimal levels, you don’t really care – you’re just out hammering the tails for all you’re worth, and lovin’ it! Now, when you’re racing, by comparison, the smallest thing can irk you to no end. The slightest cable stick, grit in your drive-train, brake rub or chatter in your brakes can be all it takes to take you out of the game, mentally. It’s sad, but it’s true…. Us cyclists can be that fragile, whether most of us would admit, or not. The truth be told, we like things to run, not just pretty well, but ‘perfectly’, even though, this isn’t possible most of the time. That said, last night at the United Cycle Tuesday nighter, I enjoyed such a moment, when the bike was D-I-A-L-L-E-D in! Tire pressure – 28psi, firm but soft enough to bite into the damp, slick, leaf-covered grass. 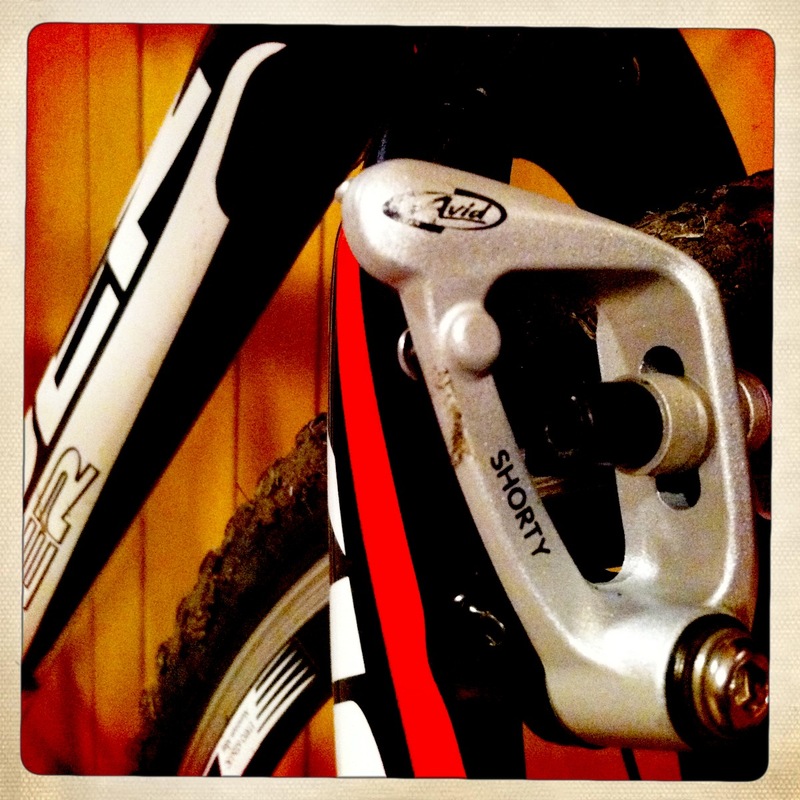 Shifting – pristine, in a way I’ve come to appreciate only Campagnolo offers. All in all, I could not have asked for more from the bike (VINER Perfecta) last night. If anything I feel I let it down, not showing up with the legs, or the lungs to do it justice. If you haven’t given your ride the TLC you know it needs, and deserves lately, consider this a tiny nudge, to get to it. You’ll be glad you did. P.S. RIP Steve Jobs. Yours is a life worth celebrating. 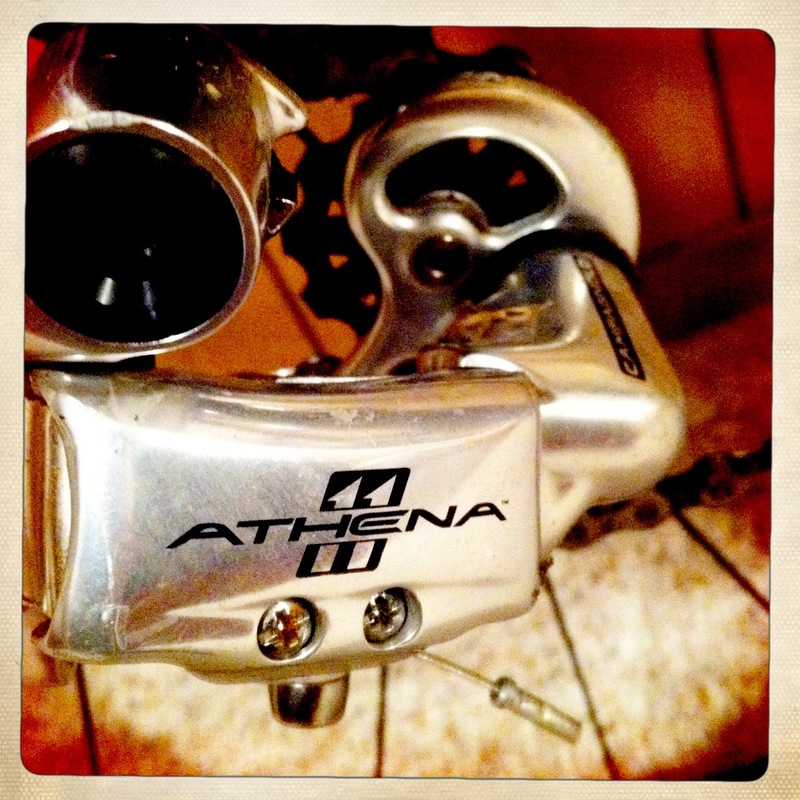 ‘Tain’t a pimple on “MY” Viner Perfecta/Campy Athena pavement bike!